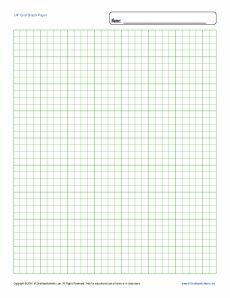 This graph paper has a smaller grid of 1/4". It's easy to print one sheet or many sheets. You may also print as black and white or in color. It's perfect for home or class use.